This weeks draw for Swinford GAA 50/50 draw was held in Moores on Tuesday 19th January and John Noone won €721. Envelopes are available in most business premises and online through www.swinfordgaa.ie where tickets can be purchased in bundles of 10/25/52 weeks. Next draw is in Julians on the 26th January. Draw envelopes are now also available at 3 for €5. Club membership is now open for 2016, please contact a club officer or visit our website. 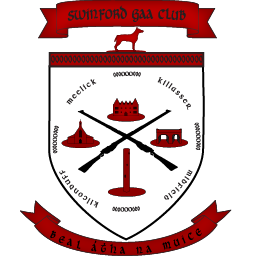 The gym upstairs in the community centre will be open for strength and conditioning from 7pm to 10 pm on Monday, Wednesday and Friday evening for Swinford GAA members with a qualified coach at each session. Each session costs €2 and there will be a sign in book in operation.